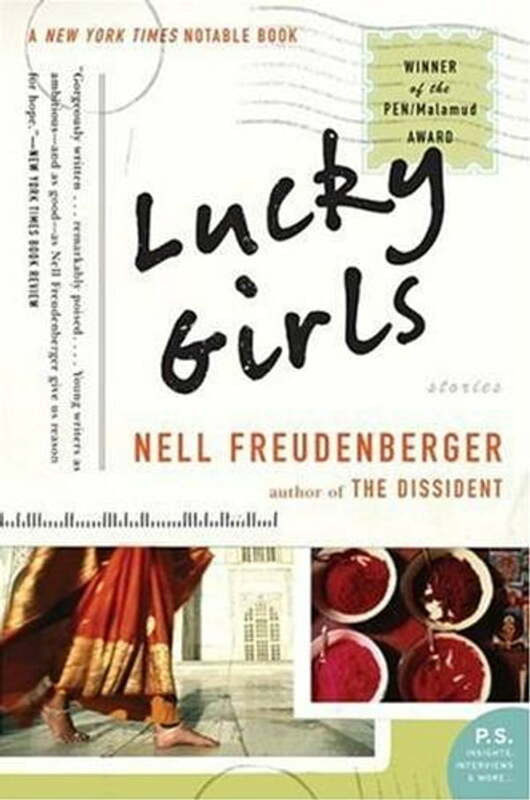 Lucky Girls is a collection of five novella-like stories, which take place mostly in Asia. The characters—expatriates, often by accident—are attracted to the places they find themselves in a romantic way, or repelled by a landscape where every object seems strange. For them, falling in love can be inseparable from the place where it happens. Living according to unfamiliar rules, these characters are also vulnerable in unique ways. In the title story, a young woman who has been involved in a five-year affair with a married Indian man feels bound to both her memories and her adopted country after his death. The protagonist of “Outside the Eastern Gate” returns to her childhood home in Delhi, to find a house still inhabited by the impulsive, desperate spirit of her mother, who left her family for a wild journey over the Khyber Pass to Afghanistan. In “Letter from the Last Bastion,” a teenage girl begins a correspondence with a novelist who’s built his reputation writing about his experiences as a soldier in Vietnam and who, in his letters, confides in her a secret about his past. Highly anticipated in the literary community and beyond, Lucky Girls marks the debut of a very special talent that places her among today’s most gifted young writers.